Something has continued around at middle of page. Something has continued around at middle of page. https://docs.phalconphp.com/en/latest/reference/di.html I confirmed it on latest version of chrome/firefox/opera. I feel dizzy. Please someone fix it. I can not find the error, soon layer update the documentation with the arrangement. 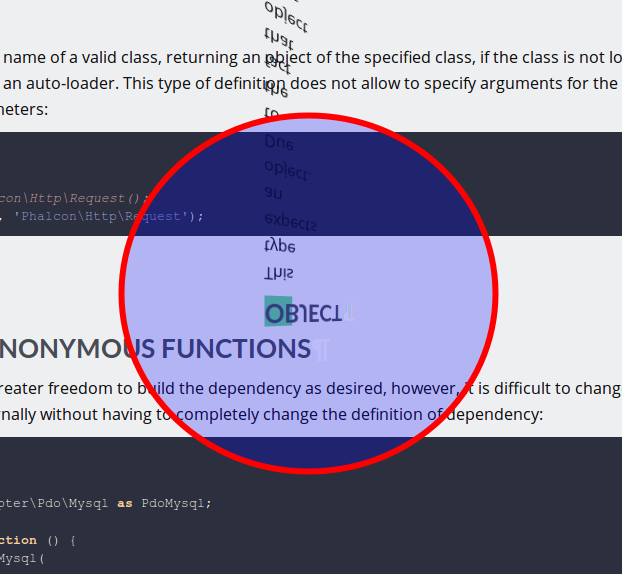 This type expects the name of a valid class, returning an object of the specified class, if the class is not loaded it will be instantiated using an auto-loader.